Our Fire Brigade Handbooks are the principal listing of all fire appliances in the UK. New editions are produced periodically. The sixth edition was published in April 2007. 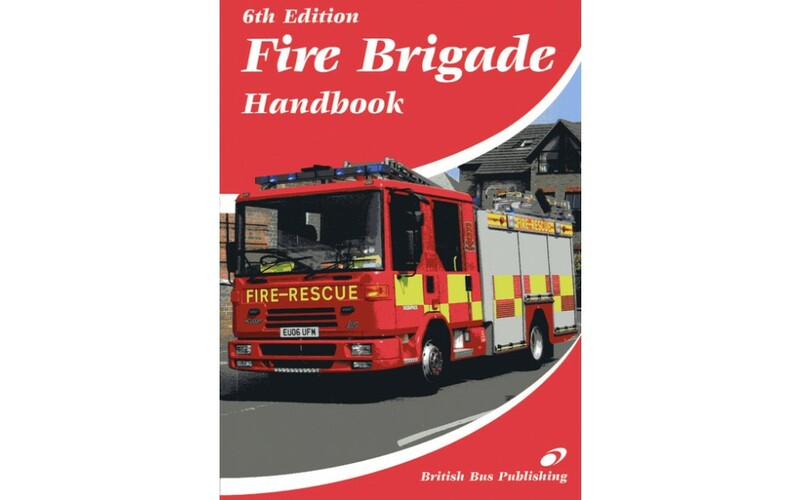 Brigades included are Avon Fire Brigade; Bedfordshire & Luton Fire & Rescue Service; Royal Berkshire Fire & Rescue Service; Buckinghamshire Fire & Rescue Service; Cambridgeshire Fire and Rescue Service; Central Scotland Fire Brigade; Cheshire Fire Service; Cleveland Fire Brigade ; Cornwall County Fire Brigade ; Cumbria Fire Service ; Derbyshire Fire & Rescue Service; Devon Fire & Rescue Service; Dorset Fire & Rescue Service; Dumfries and Galloway Fire Brigade; County Durham and Darlington FRS; East Sussex Fire Brigade; Essex County Fire & Rescue Service; Fife Fire and Rescue Service; Gloucestershire Fire & Rescue Service; Grampian Fire Brigade; Greater Manchester County Fire Service; Hampshire Fire & Rescue Service; Hereford & Worcester Fire Brigade; Hertfordshire Fire & Rescue Service; Highland & Islands Fire Brigade; Humberside Fire Brigade; Isle of Wight Fire & Rescue Service; Kent Fire Brigade ; Lancashire Fire & Rescue Service; Leicestershire Fire & Rescue Service; Lincolnshire County Fire Brigade; London Fire Brigade; Lothian and Borders Fire Brigade; Merseyside Fire Brigade; Mid & West Wales Fire Brigade; Norfolk County Fire Brigade; Northampton County Fire Brigade; Northumberland County Fire & Rescue ; North Wales Fire Service; North Yorkshire Fire & Rescue Service; Nottingham Fire & Rescue Service; Oxfordshire Fire Service; Shropshire Fire & Rescue Service; Somerset Fire Brigade; South Wales Fire Service; South Yorkshire County Fire Brigade; Staffordshire Fire and Rescue Service; Strathclyde Region Fire Brigade; Suffolk Fire Service; Surrey Fire & Rescue Service; Tayside Fire Brigade; Tyne and Wear Metropoltan Fire Brigade; Warwickshire Fire & Rescue Service; West Midlands Fire Service; West Sussex County Fire Brigade; West Yorkshire County Fire Brigade; Wiltshire Fire Brigade.